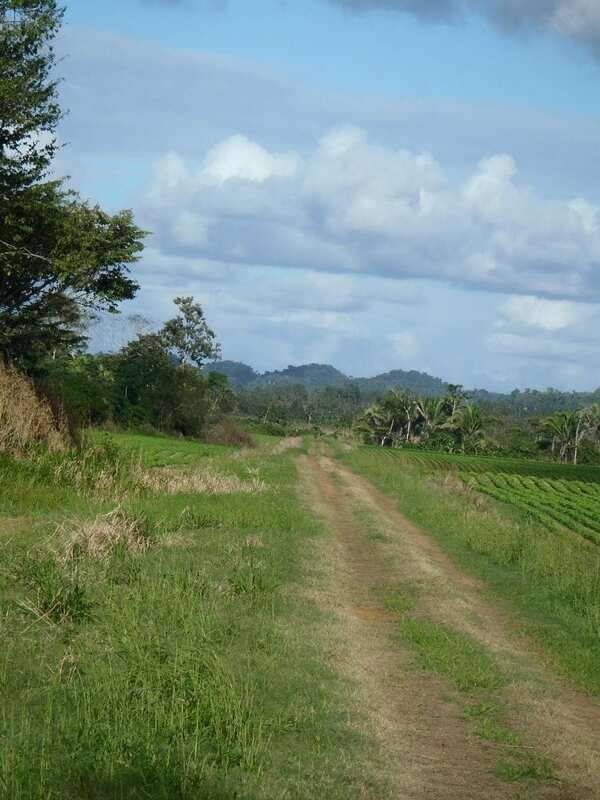 This 30 acre farm is only 10 miles from Belmopan, Belize’s capital city. It is an 8-mile drive along the paved Hummingbird Highway. 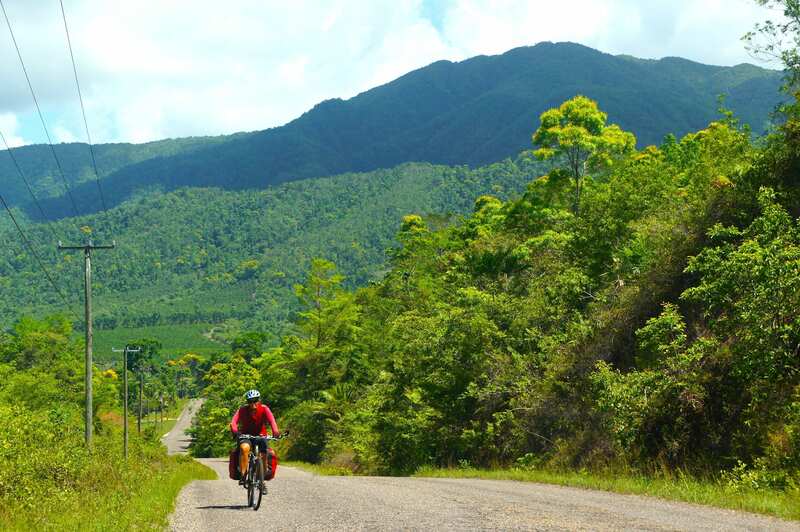 This is possibly the most beautiful highway on earth as it winds through the majestic Maya Mountains, down to the sea. This farm is 1.9 miles on Springfield Road. Springfield Village is a horse-and-buggy Mennonite village, about 2 more miles further back Springfield Road. It is well known for organic fruit nurseries, horse-powered sawmill, and hand-made furniture built without electrical or motorized power. This is a very productive family farm, growing corn, beans, onions, peppers, mangos, watermelon, coconut, limes, papayas ~ and all types of fruits & vegetables ~ year-round. Crops from this farm feed the farmer’s family and are sold in markets. 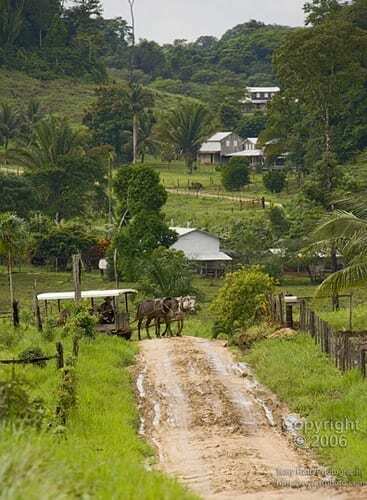 It is within one of Belize’s most lush, fertile farmland areas, capable of at least two harvest seasons. There is a pasture for cattle, and a watering pond. 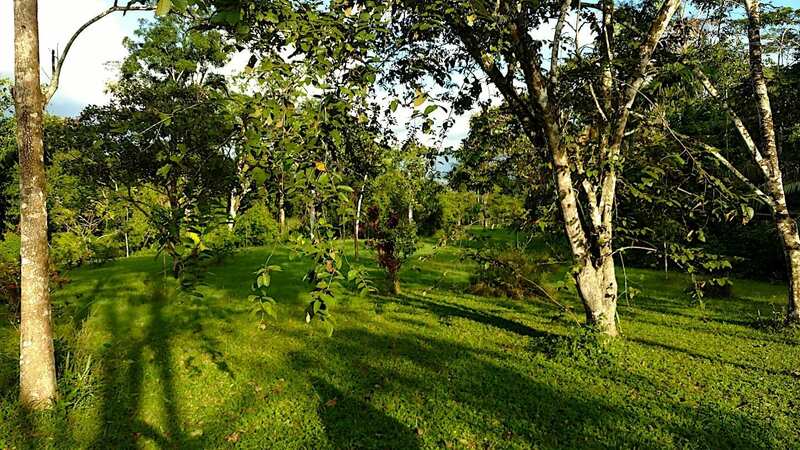 The area is quite suitable for cacao, and the old Hershey’s Chocolate farm is nearby. This farm is 1.9 miles from the Hummingbird Highway and electric lines. It now has a very basic barn structure. There are several excellent building sites, including hilltop with panoramic mountain views. Build a nice home with 360° outdoor verandas to benefit from the dramatic mountain views and breezes. The area is within 3G cellular coverage for good communication and internet. Electrical power lines follows the Hummingbird Highway and could easily be extended to this site. Springfield Village is about 4-5 miles from the Hummingbird Highway on an all-season gravel road. It is an “Old Order” Mennonite community enjoying life without internal combustion or electrical power. Many residents here utilize solar power, and ample water is provided from rainwater catchment, creeks & wells. It is just 5 miles from St Herman’s Blue Hole National Park, as well as the famous Caves Branch River, where numerous eco-resorts offer exciting river & cave tubing, and jungle adventure. Armenia Village is only 2 miles away, with a grocery store and school. 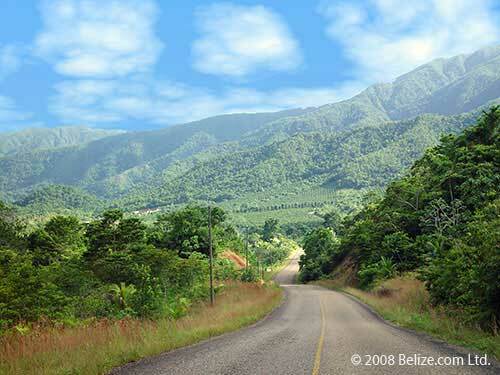 Good hardware stores, markets, gas stations, and shopping can be found in Belmopan, 10 ales away. The Caribbean Sea is about 50 miles to the east, and this farm is a little more than an hour’s drive from Belize’s international airport. In The Tropics Network LLC. Specializing in Rare-Air, Strategically-Located, Clear-Title Caribbean Property.